The Indian Railways has set a target to get at least 50 per cent share of the country’s freight traffic by 2030, according to a strategic vision document prepared by the transporter. In order to achieve this, the Railways is betting big on getting the existing expansion projects and dedicated freight corridors on track, and bringing in more private partnership. “The target is to achieve half of the country's freight share by 2030, from 33 per cent now,” said an official close to the development. The Railway Board set up a committee in October, including 11 executive directors from various streams, to come up with a 2030 vision document for the national transporter. On March 8, the panel finalised its recommendations and the report was put up for clearance by the Railway Board before making it public. The official said the panel was of the view that more private sector participation is essential to achieve this target. This may include areas like ownership and operations of freight terminals and ownership of locomotives and rolling stock. In addition, bringing private players into coach and locomotive manufacturing and repairs was suggested by the NITI Aayog recently. Based on the data available with the Railways, at least 505 projects - including 263 doubling, 185 new lines and 57 gauge conversion - are under various stages of execution. Of this, several projects are facing a cost overrun - owing to issues like acquisition of land, shifting of utilities and delay in various statutory clearances. Interestingly, there are projects that are have been stuck for 30 years now. “Immediate attention will also be given on the completion of dedicated freight corridors. The western and eastern dedicated freight corridors are vital to increase the total traffic of Railways by at least 144 million tonne (mt) by 2022,” he added. The revised cost estimates for the two corridors are coming to around Rs 81,459 crore, while the total expenditure incurred by December 2018 was around Rs 45,000 crore. In a report last year, NITI Aayog said the Railways’ share in the transportation of surface freight has declined from 86.2 per cent in 1950-51 to 33 per cent in 2015, owing to a shortfall in carrying capacity and a lack of price competitiveness. 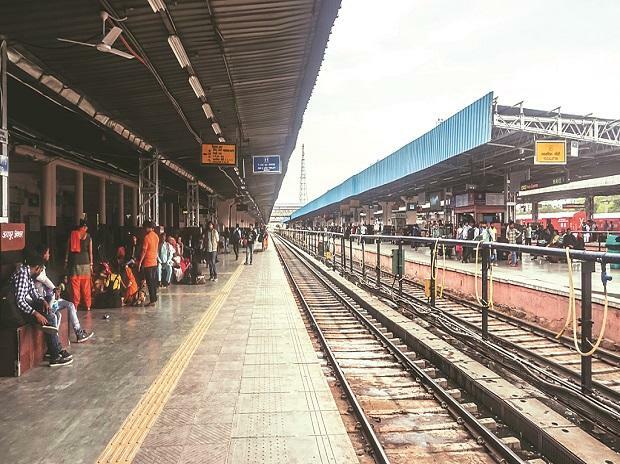 “We are also looking to improve passenger comfort and hence the panel is of the belief that additional focus has to be given on the station redevelopment and modernisation programmes, where we can have more private participation,” the official said. In its report, the planning body indicated that by 2022-23, the Railways should have a freight load of 1.9 billion tonnes and an improved modal share of 40 per cent of freight movement from the current level of 33 per cent. So far, the national transporter has handled 1,183 mt during the current financial year, up 2.76 per cent compared to last year.